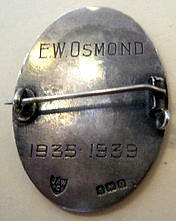 NURSE ELSIE WINIFRED ELLIS - NEE OSMOND 1912-2005. I became interested in Poplar Hospital having worked as a District Nurse Student and District Nurse in Poplar/The Isle of Dogs, usually either cycling and walking around the area (unless the pool car - a bright orange mini was available into which we could cram a commode in an emergency) thus giving me time to absorb the historic buildings. The Poplar Hospital for Accidents ("the Dockers' Hospital") opened in 1855 with 20 beds in an old Customs House across from the entrance gate to the East India Docks in East India Dock Road, Poplar, E14. Its purpose was to treat trauma patients initially; male workers injured in the East & West India Docks-and later Millwall Dock. Samuel Gurney (1786-1856) a Quaker banker and Money Wigram (1790-1873), a Blackwall shipbuilder and ship-owner, decided that a local hospital was a necessity after a seriously injured labourer died on route to the London Hospital in Mile End *- the nearest hospital to the docks. Both Gurney and Wigram were connected to the London Hospital and in 1854 had suggested that the proposed hospital in Poplar should be attached to the London Hospital, but this was not acceptable. This possibility was raised again in 1868, but with no effect. * The London Hospital , Whitechapel was 2.0 miles, and Mile End hospital was 2.2 miles from Poplar , it is assumed that the source used is referring to Whitechapel, as they did not merge until 1974,(when Mile End Hospital became known as the London Hospital, Mile End). By 1870 as activities in the docks had greatly declined there were fewer causalities, so Poplar Hospital began to accept medical cases for treatment. An Out-Patients wing was added in 1880 . In 1886 the Hospital purchased the freehold of the site from the East and West India Dock Co. In 1890 two houses in East India Dock Road were bought. In 1892 Queen Victoria became an annual subscriber and a life governor, thus increasing the level of funding. In 1894 women and children were able to be admitted for the first time after a 4-storey wing was completed which contained three floors of wards and Out-Patients Department was relocated to the basement. 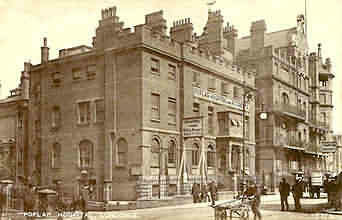 The Hospital was extended further in 1899, with an isolation block being built at the back of the site. A new wing five and a half storeys high was erected to the east of the 1894 wing. 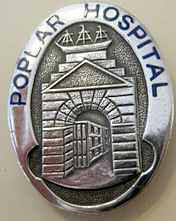 The Hospital was now able to provide general treatment facilities for the Poplar district. After an agreement with the LCC, in 1910 the Hospital began to undertake the dental care of schoolchildren and also in 1910 approximately 345 workmen, injured during the building of the 'Thunderer', a Dreadnought-class battleship, at the Thames Iron Works, also received treatment. During WW1 the Hospital was linked to the Fourth London General Hospital,( formerly the Maudsley Memorial Hospital, Denmark Hill) and 24 of its beds were reserved for military casualties. being beside the docks the Hospital buildings suffered from Zeppelin raids, many being badly damaged. On 19th January 1917 it received casualties from the Silvertown explosion, when 50 tons of TNT exploded at a chemical works. Sixty-nine people were killed and 450 injured-fourty people were admitted, of whom 7 died. Rebuilding continued after WW1 until 1929. The Hospital was extended at the rear ; the 1881 west wing was demolished and rebuilt in 1922, and a children's ward, a Nurses' Home and a mortuary were added. A new operating theatre was also installed in 1929. When Elsie joined a further building programme was in place;in 1934 a larger Out-Patients Department was built, which extended northwards. An extra storey was added to the original 1894 east wing during 1936-37. In 1937 the Hospital finally dropped the words 'for Accidents' from its name - it had been a general hospital for over 20 years. During WW2 the original main building was destroyed by bombing in 1941. A number of people were killed and the Hospital closed for a short time. 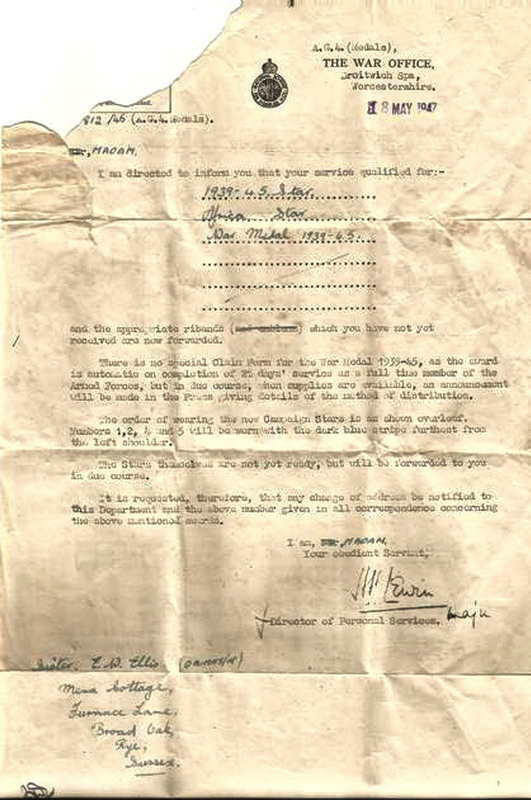 Elsie appears to have signed up almost immediately on the completion of her training, which coincided with the start of war. (4) She joined the Queen Alexandra's Nursing Service Reserve, being attached to the 5th General Hospital. In the war diary held at Kew much is made of nursing staff obeying regulations; in particular to uniform (when out in public) and marriage. "Permission has been granted for the wearing of grey gloves for daily use, but white gloves will be still worn on all official occasions. It is brought to your notice that incorrect street uniform is still being worn. Scarlet scarves and umbrellas' and coloured mackintoshes are not uniform. The wearing of the 3/4 cape in lieu of a great coat when off duty is another variation of uniform to be deplored..."
The Matron in Chiefs ruling re the wearing of caps by members of the Nursing Services states that caps are to be worn with frocks and capes at all meals in hotels and quarters. 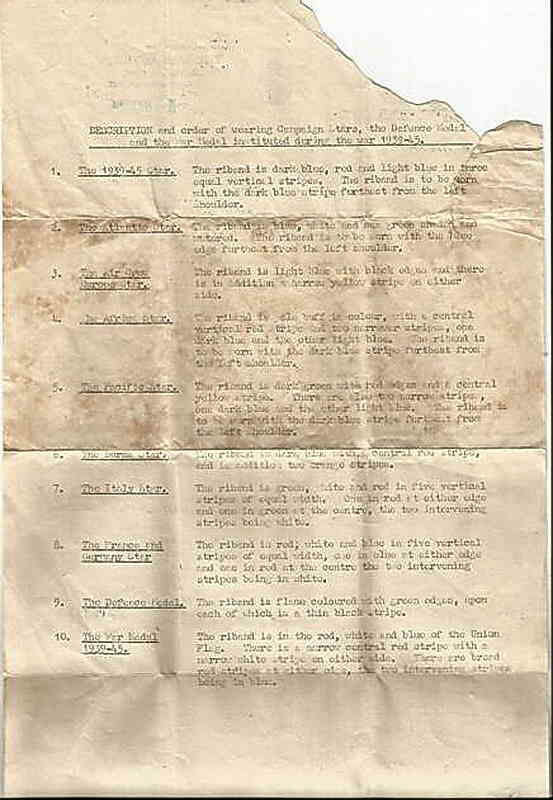 It is feared that some members of the QAIMNS (Reserve) are not familiar with the standing orders of the QAIMNS. Visits to unsuitable places of refreshment, bars, etc, visits to Officers Messes, billets, except on general mess invitation, and smoking in public places are not allowed. Respirators are always to be worn. No member may be absent from her unit for a night. For many young women joining up , the restrictions and rules mentioned may have seemed more draconian that those they had been subject to whilst training in civilian hospitals at home. Or perhaps it was the sense of freedom , mixed with very real danger that led to some of these young women pushing the boundaries. One nurse is sent home in apparent disgrace, the only reason being that she had forgotten to tell them that she had married her fiancé as he went off to war. The nurse in question was immediately sent home to England with strict instructions that she was not to nurse! I have the honour to inform you that I was married at Folkestone on September 17th 1939, before proceeding overseas with my unit. I regret that I did not fully understand that I should be required to resign my appointment in Queen Alexandra's Imperial Military Nursing service from the day previous to my marriage. "Arrangements are being made for the return to the UK, forthwith of Mrs.... nee staff nurse ........ QAIMNS. She has been instructed to report to the Q.A. Military Hospital, Millbank, and her arrival should be communicated to the Matron In Chief immediately on arrival. This lady will not be put on duty. "I have the honour to inform you that as my fiancé will shortly be going overseas I have had to arrange for my marriage to take place on April 8th. Luckily, both these young women appear to not to have become widows during the war, although their husbands may well have suffered life long trauma due to serving in WW2. Elsie and her colleagues embarked in the UK from the 'SS Bruges" on Saturday 25th May1940, 2 days before the evacuation of troops from Dunkirk. "that the first six Army Sisters landed in France on the 10 September 1939 and by the summer of 1940 1300 Nursing Sisters were evacuated with the BEF. There was little to do because French troops were holding back the German army at the Maginot line. QA's kept themselves busy by treating the French local civilians and holding clinics. They had a good social life enjoying French culture and kept fit playing a variety of sports. Because there was little action in the first year the time was called The Phoney War or the Bore War. Without Elsie's war record (sealed for 25 years after her death - unless a family member were to request it) her movements after arriving back in England during Dunkirk cannot be tracked. A Ralph Ellis appears to be her husband, and he travelled out to Port Said, Egypt from Liverpool in September 1935 on the S.S.Gloucestershire, giving his occupation as a teacher. It also appears that Elsie had continued to work after her marriage in the army - perhaps the need for nurses was altering previous conventions about unmarried nurses? Certainly this was an issue elsewhere among countries involved in WW2. "World War II (WWII) is said to have been one of the defining events of the 20th century–for our country and for the nearly 400,000 military women who served in her defence. Entry qualifications for women joining the US Armed Forces stipulated everything from age to education, health to citizenship, and pregnancy to parenthood–and not surprisingly, marital status. Marriage policy varied greatly from service to service and these policies underwent much change during this era as recruiting more women became necessary and as services could not afford to lose well-qualified women candidates. 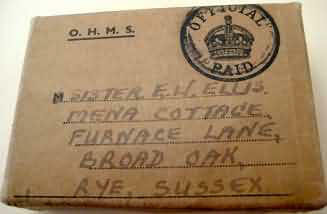 By May 1947, Elsie is back in England and living in Rye, Kent, to where her medals are sent. 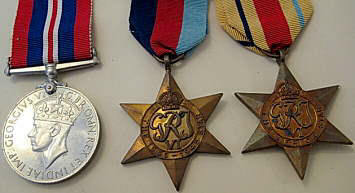 War Office letter describing the Medal awards. Elsie appears to have had at least one child, a girl who appears to be living , it may be that she returned to work after this in 1955. Staff records are closed for at least 80-100 years from the last entry, so it may be many years before more can be found out about her career and life . 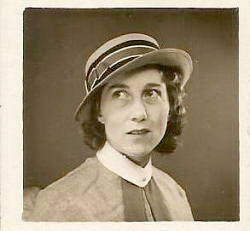 Elsie died in 2005, in Rolvendan Layne, a hamlet near Cranbrook in Kent. 2.The National Archives, Kew, WO177/1120, War Diary No 5 General Hospital 1940. 6. Mary T. Sarnecky, A History of the U.S. Army Nurse Corps (Philadelphia: University of Pennsylvania Press,1999), 181, 453.